The plan to reconnect North and South Korean railways could be upset by Pyongyang's potential flip-flops on the denuclearization of the Korean Peninsula, however, if the project is implemented it may give a tremendous boost to the region, linking it to Russia, China and Europe, Beijing-based CCTV editor Tom McGregor told Sputnik. Seoul and Pyongyang are considering the possibility of reconnecting their railways before the end of 2018 in a bid to deepen bilateral ties; the issue is likely to be addressed during the upcoming North and South Korea summit in September. However, according to Tom McGregor, a Beijing-based political analyst and senior editor for China's national TV broadcaster CCTV, there is many a slip between cup and lip. "It depends if North Korea wishes to remain cooperative on such projects," McGregor told Sputnik. "Pyongyang has a history of one day offering to compromise on deals and the next day acting stubborn without giving reasonable causes. If North Korean Leader Kim Jong-un is sincere about a North-South Korea railway it will happen, but if he chooses to make excessive demands and play the blame game against Seoul then this project is doomed to fail." 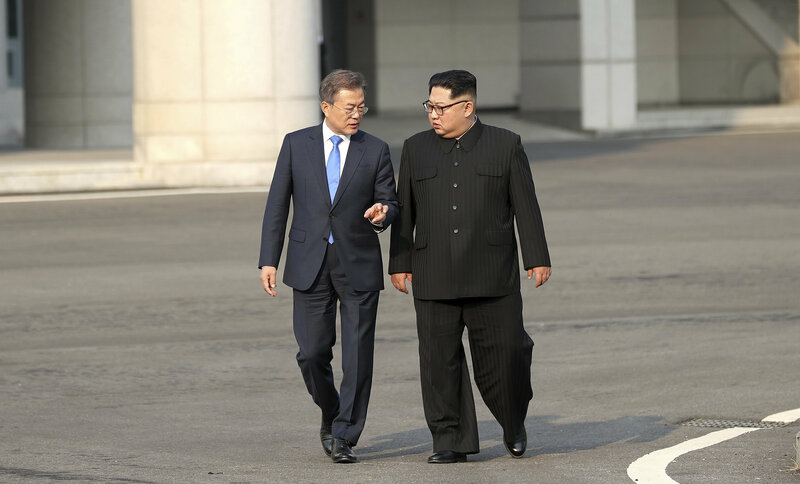 On April 27, President Moon Jae-in and Chairman Kim Jong-un agreed to modernize rails tracks in North Korea and reconnect railways over the countries' border. To kick off the endeavor the two Koreas have started a joint examination of their lines that do not violate the existing sanctions regime against Pyongyang under UN Security Council Resolution 2375. On August 9, the countries' railway policymakers met for the second time at the Customs, Immigration and Quarantine (CIQ) office in South Korean city of Paju, according to Yonhap. Their first summit took place on July 24, in the North's border town of Kaesong. The Beijing-based commentator highlighted that although the railroad inspection is going on, everyone understands that nothing can be done until the sanctions imposed on Pyongyang over its nuclear program are lifted; and that, for its part, depends on North Korea's readiness to denuclearize. "North Korea must make the decision for themselves: Do they wish to cooperate with South Korea or not? The ball is in their court. Will they carry it for the touchdown or will they fumble it, just like they have done so many times before?" McGregor asked rhetorically. What's Behind Seoul's Trans-Korean Railway Plan? However, it's not solely about mending faces between the two nations: Seoul is highly interested in linking railroads between the South and the North as it would pave the way to the peninsula's integration into the Trans-Siberian and Trans-Mongolian railways, allow South Korea to bolster the exchange of goods with China and Russia and eventually open the door to Europe for Seoul and Pyongyang. A project envisaging linking North and South Korea to the Trans-Siberian rail route was announced 10 years ago by Moscow, Seoul and Pyongyang. However, the plan was hampered by the rivalry between the two Koreas. 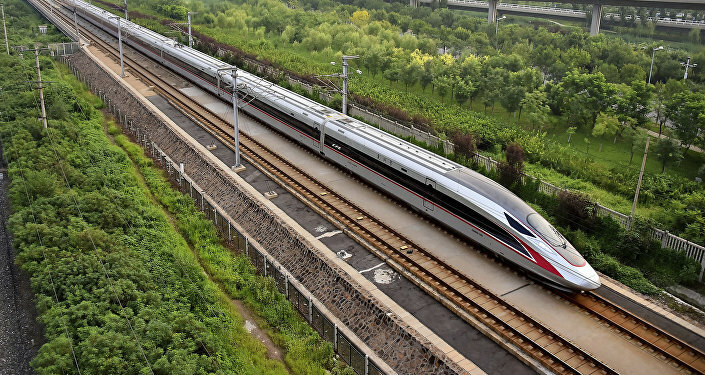 Speaking to RIA Novosti in late May 2018, Gennady Bessonov, secretary general of the Coordinating Council on Trans-Siberian Transportation, emphasized that Russia is "fully ready to connect the Trans-Korean highway with the Trans-Siberian Railway." Having said that, Moscow has already "modernized the section from Hasan station in Russia to the North Korean port Rajin" he noted that "further connection is possible to Pyongyang and then to Seoul." But that is not all: The Diplomat suggested that Seoul is planning "to turn the Korean Peninsula into a new growth engine for Northeast Asia." "Specifically, Moon envisions the construction of a trans-Korean gas pipeline that would bring Russian gas through North Korea down to South Korea's industrial hubs, as well as a railway system to link Seoul to Kaesong, Pyongyang, Nampo, and Sinuiju in North Korea — and on to Dandong and Beijing in China," the media outlet elaborated, citing the president's "New Economic Map for the Korean Peninsula." According to the CCTV commentator, all eyes are on Pyongyang now. "We need to see if North Korea actually cooperates before determining whether or not Russia and China will play a role in the project," McGregor said. "Obviously, if Pyongyang remains cooperative, Moscow and Beijing will participate in it. If the project does get completed that would be an amazing accomplishment, proving once and for all that North Korea has cast aside its belligerent image and now can be a trusted partner on economic cooperation projects with other nations." 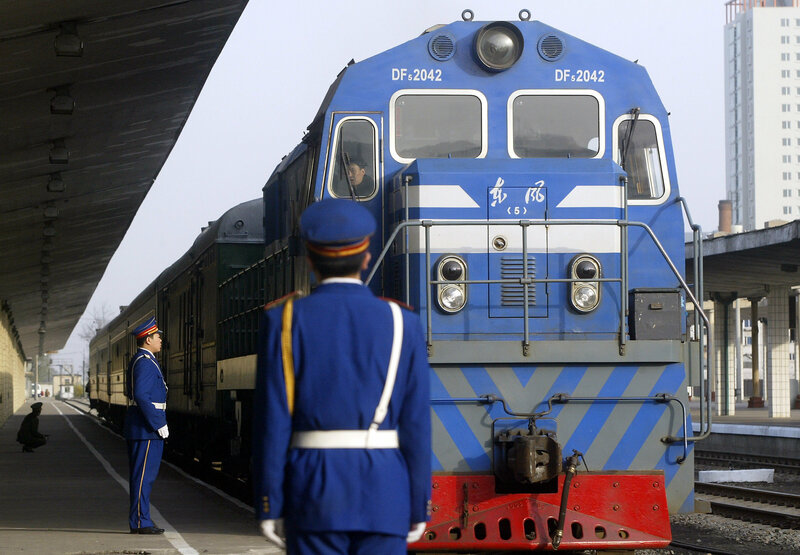 Common Railway: A Path Toward Reunification? Korea was divided into the communist North and the pro-Western South at the end of the Second World War in 1945. The railroad connection between the two countries was subsequently severed. Furthermore, the peninsula remains in a technical state of war after the Korean War of 1950-1953. While in the 2000s communications between the countries were temporarily resumed, in 2010 South Korea's attempts to bolster ties with its northern neighbor came to a screeching halt. The potential reconnection of the countries' railways is regarded as a symbol of thaw: "[It would] serve as a starting point to lead Korea down a path toward unification and into a future with hope," South Korea's former President Park Geun-hye said as quoted by The Telegraph, while commenting on the plan to reconnect Seoul and North Korea's Wonsan. However, McGregor believes that it would take lots of time and effort for the two Koreas to reunite. "North Korea wishes to stay as North Korea and South Korea wishes to stay as South Korea," he opined. "They both like the status quo in regards to national sovereignty and so to speculate on matters of unification would make Seoul and Pyongyang nervous. No need to make them worried as they both march ahead on improving diplomatic and economic ties between the two nations on the Korean Peninsula."